Building or renovating? Do you require council approval? 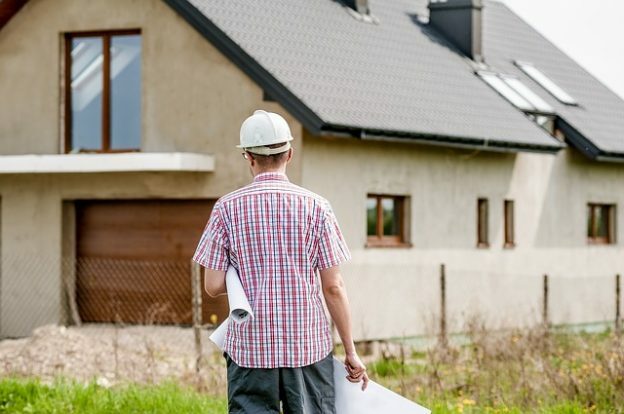 Building a home or developing a new site can be an exciting time, however you might be stopped in your tracks when you realise you need to get a development application (DA) across the line. Whether you are building a new extension or starting a building from scratch, you will need to have all necessary approvals in place from your local council to go ahead with your project. Some small scale-renovations such as adding a pergola or carport, may be exempt from council approval, however it’s always best to check with council first. If you do require permission then you will need to lodge an application with council so they can determine if your plans are suitable for the local area and meet all zoning and legal requirements. What does council consider when it looks at your application? Neighbours – Once you submit an application anyone can make a public submission in response to how it might affect neighbouring properties or the area in general. Your local council needs to take all submissions into account and address any concerns. A negative submission won’t necessarily mean that a development won’t go ahead, but they are something that a council will consider and they may draw out the application process. Environment – Councils need to consider how a development will impact its surroundings. Any application should state any possible impacts on the environment and what steps will be taken to reduce any expected environmental harm. Zoning – It’s always a good idea to check out local zoning or planning controls before planning any major build as these can dictate everything from the number of stories you can build to what paint colours you can use. In particular, look out for things like heritage conservation or being in a flood or bushfire-prone area as this can limit what you can do on your property. Local area impact – How will the project have an impact on the local area? Will it lead to increased traffic congestion or drive down local property prices? These are things that a council will need to consider. Site constraints – Not being fully aware of site constraints is a common reason for development delays. All necessary aspects should be taken into account so that a development makes the best use of the site it’s on. When submitting a development application (DA) it’s best to be as thorough and as transparent as possible. Anything that hasn’t been considered at the start may just delay the process for all involved. Get help from professionals such as draftsmen, town planners or engineers who can help you with your plans and make sure that you have considered all aspects of your project. It is also a good idea to contact your local council early in the planning stages so they can provide you with all the information you need to get you off to the best start and to get your project approved with minimal fuss. This entry was posted in Property Tips on August 27, 2018 by Terry Hansen.